Episode #10: Christ vs. Santa: Whose Birthday Is It Anyway? In this episode, Josh and I talk about Santa can overshadow Christ during the holiday season. We discuss ideas for focusing our families’ attention on Christ by talking about Advent and the origin of “Santa Claus”. We also talk about how even some wholesome family traditions can inadvertently overshadow Christ’s incarnation. In this episode Josh and I delve into multiple aspects of Thanksgiving. We talk about how our families celebrate Thanksgiving and some of the interesting tensions that arise because of the differing views on faith and God. We then talk a little about the history and Christian roots of Thanksgiving (Were the Pilgrims practicing Open Communion?). Then we dive into what scripture has to say about giving thanks, particularly in Psalms 136 and 98 and how to talk to our kids about being thankful to God and what He has done for us in Christ. We round thing out by talking about the transition from Thanksgiving to Advent and the Christmas shopping season. What then shall we say to these things? If God is for us, who can be[a] against us? Echoing the topic of podcast #6 titled “Using Music and Hymns to Enrich Christian Kids and Why”, one of our favorite book producers, Concordia Publishing House, has released “My First Hymnal”edited by David A. Johnson. You can view an except (PDF) of the book, checkout the promo video (also below), or order the book. 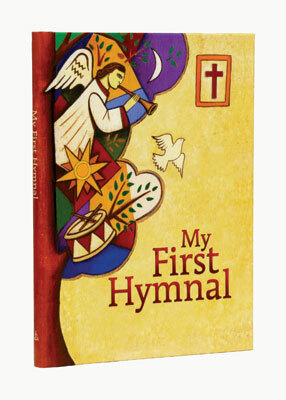 Hopefully this will be a gift we can get for my kids for the Holidays or otherwise to help teach the Gospel through the use of hymnody. I came across this prayer from Cyberbrethren (which was sourced from Pastor Weedon’s blog & Starck’s Prayer Book) which I thought I’d pass on to our readers who may find helpful & useful when praying for your children. 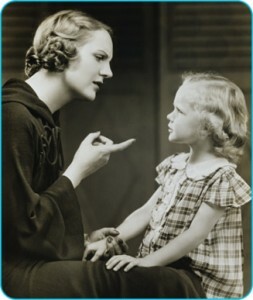 How are we Christians to discipline (or not) our children? Should you use force? Is pacifism too extreme? How do we know the boundaries? Christ used force and peace to make points in His ministry, so how can we use that as an example? Just as the Bible can be confused without the application of Law & Gospel, so can parenting. There are no simple answers to practically parenting concerns like discipline. This website in large part was created to be an antithesis to so many parenting books, how-tos, and gurus who have endless methods as to how to raise your kids. While they can be useful, almost all of those theories are secular and based on human constructs of psychology. Therefore, with the chance of sounding too theoretical, The Parental Office‘s approach to such questions is to look to the Bible and its doctrine. Like every issue we address, the parent’s goal should be to be Christ-centric in their life as parents and people. We had a listener who commented last week on our Contact page. Her and her husband enjoy the show, but asked about practical things like those mentioned above. Upon reading, Christ-oriented answers were not apparent right away. Upon reflection, it hit me. Law & Gospel! Parents should discipline practically in light of Law & Gospel. I was then reminded of an excellent article in The Lutheran Study Bible which is titled, you guessed it, “Law and Gospel Parenting” (page 2025, in Ephesians). The following partly paraphrases that piece. As parents we get confused about when is time and how to act (or not). A kid throws a book across the room, hits a sibling, or has a tantrum. As adults we also throw “tantrums”, too often directed at God. Things don’t go our way or a prayer seems not to be answered, so we get mad. Then what does God do? He slaps us back into reality with His Law. Through reading or hearing His word we see our sin on display. The rules of the Law are ever present and sets a standard no human can achieve. 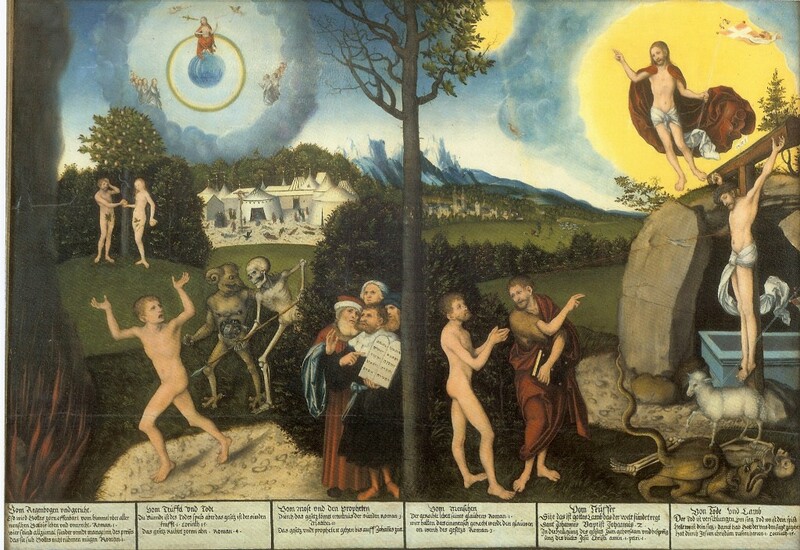 Only Christ, whom atoned for our sin through His death on the Cross, redeems us from this sin. This Gospel is our and our children’s only true hope. When our kids throw their tantrums and refuse the 4th Commandment’s clear dictate to “Honor your father and your mother”, their hope also only lies in Christ. To help them understand this, we as earthly caregivers should act as God does, appropriately applying the Law and then applying the Gospel. When do you apply the Law and when do you apply the Gospel? The same times we are taught to do so when dealing with all sinners. When a person is unrepentant, then we give them the Law. We expose their sin and prove their guilt. When a person is repentant, then we deliver the Gospel. We tell them of forgiveness and absolve their guilt through Christ. It is no different for children. These little sinners sometimes are unrepentant and sometime repentant. When our son Noah is unrepentant by ignoring a command or acting in a inappropriate way, he goes to timeout. He usually yells for awhile in anger (darn “old Adam” in him). When he calms down and collects himself we go over to him and he usually is repentant (if not, he stays in timeout). We ask him what he did wrong, ask him to say he sorry to us, and then given him a hug and say “I love you.” If his wrongdoing was directed at one of us or his brothers, he is directed to ask forgiveness of them (and give them a hug). He does so. While this little example does not always go so smoothly (since we are also a sinners who makes mistakes), it shows the basic concept of Law & Gospel discipline. Unrepentant kid equals force, punishment, and stern faces. Repentant kid equals guidance, forgiveness, and warm expressions. This all said, repentant kids do not get a free pass. Just because they can be forgiven, does not mean there are no worldly consequences. Noah will sometime have to do other tasks or serve some “quiet time” in his room after such timeout episodes, even when repentant. “[God] disciplines us for our good, that we may share His holiness” (Hebrews 12:10) and asks those in the parental office to act out the Law to groom children in practical ways. This allows them to learn right from wrong and by understanding such worldly constructs they may, through the Holy Spirit, be brought to reconciliation in Christ. I’d be remiss if I did not state that we as parents often sin (even when trying to do the right thing for our kids), complicating the situation surrounding the application of Christ-centric Law & Gospel parenting. We make parenting mistakes constantly. Timeout does not always go as noted above. We must adjust, but we can strive to stay in God’s Word, understand Law & Gospel, and apply such in our parental lives. No wonder bookstores have entire sections of how-to books on parenting, all grasping for truth and all too often leaving out Biblical teaching like Law & Gospel. Christian parents like us also look for answers when we get frustrated in our tired states after being up with a kid all night, get pulled upon as soon as walking in from a long day at work, or upon hearing a child be defiant. However, when we repent of our sin and see Christ, we can act to our children in the same way as God did in Scripture through Him for us. Through focused faith and study we can, for moments, be Law & Gospel parents who reflect Christ to our children. In this episode we talk about our considerations and thought processes with regard to picking a school for our kids. We factor in cost, need, ability to homeschool, and of course our reliance on Christ in making these important decisions. Here’s a link to the series on Issues, Etc. VeggieTales, the lovable Christian cartoon, has for years been delighting kids and parents with their fun telling of Bible stories and tales emphasizing moral themes. I bet you have shown at least a few episodes to your kids or maybe a well meaning family member gave your child a DVD as a gift. Even as parents we laugh at the clever story lines and spoofs on popular culture (The Wonderful Wizard of Ha’s, Minnesota Cuke and the Search for Noah’s Umbrella, Lord of the Beans, etc.). But did you notice something left out in my opening sentence of this article? I said, “for years been delighting kids and parents with their fun telling of Bible stories and tales emphasizing moral themes.” What is missing? Christ. When we had our first boy and he reached the age where watching TV was appropriate, we naturally gravitated to VeggieTales. We had friends who had their kids watch them, family had quickly got him DVDs, and we thought it was probably one of the more wholesome cartoons we could find. How could they be anything but good for our kid. The makers are self professing Christians, many of the programs are actually Bible stories (albeit made kid friendly, i.e. dumbed down), and they teach good values to the kiddos. However, as we watched them over, and over, and over, and over again (yes, kids love watching their favorites many times), I suppose I started to read into them some. What was the real message inside the moral of the story? The story we watched the most initially was Josh and the Big Wall, the VeggieTales version of the Fall of Jericho. The subtext to the video is “A Lesson in Obedience”. That should tip you off right there. While it does touch on the key points of the Bible account, in the end it seems to indicate Joshua & the Israelites doing stuff to allow God to do his work at Jericho. Not the other way around. But hey, this is an Old Testament “Law” driven story, right? What if we let this one slide and look at one of their shows on Easter… Christ must make a clear appearance in that, right? No. Twas the Night Before Easter was something we found on Netflix just this last Spring. I was skeptical from as watching Josh and the Big Wall (and a number of other episodes) which had left me questioning if VeggieTales ever took on the subject of Christ. This was their most recent Easter program, and I figured it must have some Christ. Unfortunately, even though they often made comments about “what Easter was really about” they never actually got to the point. I remember watching it and waiting for them to finally get into Christ dying for us, but it never happened. Instead the moral you get is you are to help others and not be selfish (Law and no Gospel!). I only saw this once or twice, but I do not think Christ was mentioned at all… in a “Christian” program with the word “Easter” in it! Maybe we should be tipped off by the Easter bunny version of “Larry the Cucumber” on the cover. Ugh. Some of the earlier programs, most of which I have not seen, seem like they may get better reviews on substance [unclear how much Christ involved though]. For instance, see this parent review. Maybe all the “good” Bible stories are taken up? So let’s make some moral ones instead? Crazy talk, but maybe that is the thinking? These videos are not really meant to teach theology, they are just kid programs which at best are teaching morality. If I was a betting man, I’d say my issues are a theological problem related to points #1 and #2. But many people might be happy echoing point #5 about “these are just ‘good’ kid videos”. In any case, the warning to the parent will be the same. 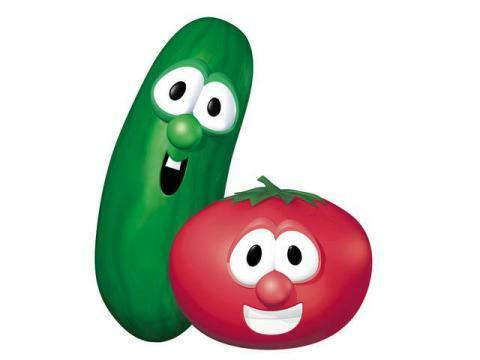 VeggieTales is a “Christian” oriented program, but that does not make it in any way a substitute for good Christ-centric teaching by parents, grandparents, and the Church. As discussed on Issues, Etc.’s series on Christ-Centric parenting, some parents seem to be willing to pass off the responsibilities of Christian teaching to anyone other than themselves (Christian schools, the Church, videos, etc.) rather then handle it themselves. And while that is a topic for an another article, it needs to be mentioned when talking about Christian videos like VeggieTales. This is especially true when the self-identified Christian program often (if not always in VeggieTalescase?) leaves out Christ. Relaying too much on such programs will lead your children to a different Christianity than one which is Christ-centric in nature. Does the McNary household still have VeggieTales DVDs, toys, and books around our home? Yes, we do. However, our toddler has mostly moved onto Thomas and Diego. Unlike his fading interest in VeggieTales, with the help of prayer and the Holy Spirit, we continue to teach him more and more about Christ’s sacrifice for all of us on the Cross. Then, when we watch VeggieTales with our (now baby) twins, we’ll be sure to use them as tools to teach Bible stories and morals, with no illusions that they somehow teach Christ-crucified. VeggieTales was railed upon here, since it is a popular example often used by Christian parents. Nevertheless, there are many Christian programs with any one of the problems denoted. Just keep this in prospective when watching, discussing, and trusting in the content of the videos you share with your little ones. Be an active Christian parent interested in the theology being taught! If unsure yourself, pray and let the Word guide you in teaching your kids. To checkout this resource you’ll need to sign-up for a free Men’s Network account. Then you can watch, read, and download the materials for free. You can also order a DVD (with comes with the materials). We’ll look into this further and try to share any feedback we have or receive on the use of this study. Us parents can use all the help we can get in this secular world, fathers maybe more than mothers. With the blessing of the Holy Spirit, we pray this study can help dads (and moms) better understand their vocation as teachers of Christ-crucified to their children. Josh and I were really shooting in the dark with regards to passing the faith on to teenage children on up. If you have any comments, tips, or resource, please share them with us in the comment section. We’d love to hear about your experiences! Vacation Bible School too much for youngins? As you may have heard on Episode #2 if The Parental Office podcast, my wife & I have been trying to include our oldest boy (almost 3 years old) in more and more Church sponsored and formed devotional activities. Vacation Bible Schools around the country are currently underway and my Church’s is next week (still time to sign up if you are in Eastern Iowa). We are planning to include our toddler all five days… but is he ready or able and should he attend? I suppose I am with my wife on this one at this point; let’s try it and attempt to expose the Word & faith in Christ’s saving work every way we can, even when young. Plus a little “preparing” the little guys is good for them and us to better understand what serious stuff is being taught between the fun and games at VBS. The flip side is, as I suggested in the podcast this week, are we overdoing it? By doing so are we really in fact just showing our faithlessness in a God who bestows grace on us and our children through Christ? Or are we doing exactly what we were commanded to do by Scriptures in our Parental Office? Where do we draw the line between Law (action) and Gospel (faith) in such cases?